Today I want to talk about the TRX training suspension system. These days there are so many different options when it comes to working out. Many products try to set themselves apart. TRX suspension trainers have been around for several years and are one of my favorites. Navy SEAL Squadron Commander Randy Hetrick developed the original system using a Jiu-Jitsu belt and parachute webbing, as a way to stay in shape while in remote areas of the world. TRX has come a long way since then. TRX training suspension system one of the most effective full body trainers on the market. You can find suspension trainers in gyms and studios; they are also perfect for working out at home. In this post, I will discuss TRX, and how you can use the straps to get a full body workout. Toward the end of the post, I will walk through a few of the different models that are available and discuss the component that each model includes. The different trainers work very much the same, but each model will have some different features. You will use the TRX Suspension Trainer with a secure elevation point, such as a door, a tree branch, a tree trunk, or beam. You want to make sure the point you are anchoring to is secure. Ideally, it is nice to have the anchor point about eight feet off the ground, but not critical. TRX is great for core, which is something that I am very passionate about since I have dealt with back pain for most of my adult life. You can read more information on my story. I am always looking for great ways to improve core strength, and I believe the TRX system does just that. Since the movements are dynamic and you have to keep yourself stable while performing these movements, you will keep your core engaged during these full body movements. I love training that is off balance; it really makes me focus and concentrate on the exercise at hand. This type of movement helps build not only strength but also flexibility. No matter what your fitness level, beginner or pro athlete, you can benefit from the TRX. It makes you move your body differently than just pushing a barbell, or lifting a dumbbell. If nothing else, this will make you change up your workout and add a new element. I notice that sometimes I get complacent, doing the same things all the time. My body gets used to certain movements, and it gets easier just from that standpoint alone. Then when I introduce something new, I sometimes struggle. It makes me think either I am not as strong as I thought, or I really need to break out of my comfort zone. I recently started using suspension training, and I was really surprised at how difficult it actually is. I get so used to doing the same things at the gym, adding some variety is awesome. For instance, with bicep curls, I don’t have to lean back very far with the TRX trainer to get a great workout, same thing with inverted rows. It is pretty amazing how just changing the angle that I lift from, makes a big difference in the muscle groups I work, and the level of difficulty. Using the inverted row as an example, when I pull from more of a shoulder level height, I feel it more in my trapezius and deltoids, so more of an upper back/shoulder area. The lower I row, the more it works the lats. So these subtle little changes in the angles and bodyweight make a really big difference in which muscles you can target. There are so many variations you can do; you can perform hundreds of exercises, and you can you can use your imagination and work all kinds of different muscle groups. The thing I like is the versatility of the TRX training suspension system. Again, you can work a lot of different muscle groups with slight positioning adjustments. My experience has been very positive using the TRX Suspension Training system. One thing I would warn you, at least this is something I noticed, is grip strength. When I first started, I noticed that moving in a fluid motion from one exercise to the next; my hands didn’t get much of a break. I did notice my grip was a little weak when I started out. If your grip starts to fail a little bit, don’t worry about it, your grip will improve with time, but that is something to keep in mind. Also, I noticed that a lot of the upper body, push, pull motions require a good amount of shoulder strength. Of course, that is the beautiful thing about the TRX system is that by just moving your body closer or further from the anchor point, you can change the resistance just like that. So, if you are a beginner, you can have less resistance starting out, which will allow you to grow into the suspension trainer as well. That is one thing that is so awesome about this product; it is portable, so you can take it with you wherever you go. All you need is a sturdy door, a tree, a chin-up bar on a playground, and you are good to go. Core – Oh the core work you can do! The TRX can provide a dedicated leg work out. However, this will also require you to engage your core when completing your leg training. You can perform TRX lunges and other variations, to get a leg workout. There so many exercises that you can do with this system. You can work upper body, lower body, back, core, so that pretty much covers it all LOL. Door jam – To set you TRX up using a door jam, you will use the included door anchor. The door anchor fits snugly over the top of any door. It fits right in between the top of the door itself and the door jam. You will need to make sure the door closes nice and tight. Ideally, you want to use an exterior door that doesn’t have a hollow core. You don’t have to use a solid core door, but ideally, that is the best case scenario. Using a hollow or solid core door depends on how much you weigh and the quality of the door. One more thing too, you want to have the door hanger to the side where the hinges are. This is one more step to make sure the TRX is anchored nice and tight, where the door will be the strongest. The door anchor is nicely padded, and the ribbed webbing strap goes over the top of the door so it will not damage the door. You also want to have the system set-up so that you are working out on the side of the door that closes. I would not recommend using a French door. French doors usually have glass in them and are definitely not made for something like this. Also, you have to have this set up so that you are working from the side where the door closes, this help to ensure a nice snug fit. So you will effectively be pulling the door closed. If you would like to attach the trainer permanently, you can purchase the extra mounting kit and attach the trainer to the wall or ceiling. You can use any other sturdy and tall anchor point, including a tree, or a jungle gym at your local park. The included suspension anchor allows you to wrap this thing around just about anything you want. The suspension anchor has sewn in notches which help you get the right height for your trainer. You wrap the suspension anchor around a secure object, then attach the TRX trainer to the suspension anchor. The TRX straps are composed of industrial grade webbing, sewn together with a heavy gauge bonded nylon thread, which is double-stitched for strength and durability. These straps are meant to last a lifetime. How long are the straps – The straps are adjustable in length so that you can get just the right fit. Adjustable handles are also great for multiple users. One example of adjusting the strap is when you want to use the foot cradle for an exercise, like pushups. When you are standing up straight next to the TRS straps, you would want to have the foot cradles hit at about your mid-calf. Using this guideline will give you an idea what length you would want the straps to be, for any exercises where you are going to use the foot cradle. Handles – There are a couple of different styles of handles that I will get into in the product descriptions below, but the basic set up of the handles is a plastic cylinder core with an outer foam cover for a comfortable grip. Also, the handles also have a foot cradle attached, made from the same webbing. So you have the plastic core handle for your hands, and then the foot cradle can be used for a ton of other workouts involving your core and lower body. There is an app available as well, and you can purchase workout routines for download. 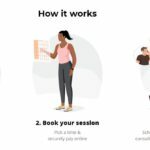 They also offer options for coaching. The TRX app gives you guided exercise videos and can also connect with wearables. There is a lot of good stuff within the app, but you can, of course, use the TRX straps without the app. The app is a way to track progress, keep you engaged and compete with your friends. One more thing, there are a ton of videos on YouTube with various ways to use the TRX system, way too many to list 🙂 I would recommend looking into some of the videos for great workout routines to follow. TRX training strap – The straps are super strong and durable and are super easy to adjust and lock tightly in place. TRX Door anchor – Use this to hang the suspension trainer on a door in your house, or even a hotel when you are traveling. The carabiner is really beefy. A couple of things that set this trainer apart from the Basic Kit are the handles, which are antimicrobial, textured handles. There are three anchoring solutions, which include the door anchor, suspension anchor and Xtender which extends the trainer when using high or wide anchor points, like a giant tree branch. 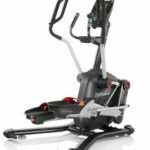 A lighter weight version with all the functionality of the other trainers listed, the Go suspension trainer is a great option. There are several different options to choose from when it comes to TRX training suspension systems. Each of the trainers is similar in functionality but includes a few more bells and whistles depending on how much you want to spend. I think the Go trainer is good entry level option, but I like the extra features that the Basic Kit provides. The Pro version is just a little beefier all around and includes the Xtender. 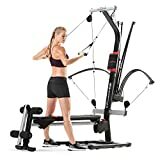 BuildingStrongerBodies.com works with Amazon.com to make sure you find the TRX system that is perfect for you. I hope you are ready to take the challenge and start training in a different and very effective way. If you are ready to make your purchase, it is as simple as clicking on the images above, or you can click here to view the entire selection of TRX Suspension Trainers. 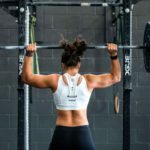 Thanks for stopping by and taking the time to read all about suspension trainer and how you can benefit from using these tools in your workout. I hope you enjoyed my post. If you have any questions or comments, please leave them below, and I will get back to you as soon as I can. Awesome article! 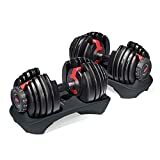 Being someone with back problems I have been trying to find something that would help strengthen my core. You nailed it here with the TRX. Thank you so much for sharing this info with us. Thank you very much for your comment, I appreciate it. TRX is definitely great for strengthening your core, which can help with back problems. Thanks for taking time to stop by! Brilliant article, I really like how versatile this equipment is. I like the way that it can be used at home and the office as and when required. 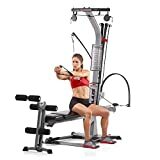 I think this will be a great addition to a training regime as you mentioned it is so easy to get used to one way of working out and this can enhance your workout. Hello and thanks for stopping by. Yes, the TRX is very versatile and I think that is one it’s best qualities. The fact that you can take it with you just about anywhere and get a full body workout is awesome. Thanks for your comment, I really appreciate it. This is a really cool product. I just had a baby, via cesarean section so I have a flub of tummy that I really want to eliminate. I want to work on my core, but my back is weak and so are my upper arms…. I am such a lousy push-upper 🙁 I like these because you don’t necessarily have to do push ups, there are other exercises you can do to work on your core. I also like that there are many options for where you can hook this up to, where baby can’t grab or get too, but I especially like the most that you can place this in a door! Do you think this product is okay for a post cesarean mommy to use? Thanks for stopping by. I would definitely talk to your doctor and get cleared for exercise before you begin an exercise program. My wife had two babies via C-section and I know she had to be cleared by the doctor before she could begin working out again. That said, when you are ready to get after it, the TRX is a great way to start. You can change the level of resistance easily by adjusting your body angle. So if you need more or less resistance it is easy to do. The TRX is a great tool to start with and you can grow into more intense exercises as well. Best of luck to you in your recovery and in motherhood. TRX is awesome! I was told that it was designed for the military to workout! The good thing about them is that they can be hanged anywhere, especially at the outdoor gym. The length is usually regulated too. I like to do plank using TRX. Basically, you put your feet in the strings and hold the plank for 10 seconds then rest for 3 and so forth. Builds your core fantastically! Awesome, I am glad to hear you are a TRX user. Thank you for stopping by and leaving a comment, I appreciate it! I love TRX. I recently moved from Dallas and they had a huge TRX set up. I used it frequently. My new gym has nothing of the sorts. I would love to have this in my garage actually! I added it to my Amazon buttons, so when I am ready I can just add it to my cart! This is a great way to work every part of the body! Thank you for your comment. I am glad to hear that you are a TRX enthusiast. Yes, I agree, TRX is a great way to work your whole body and your garage would be a great place for one. Thanks again for stopping by, I appreciate it. This looks super convenient, I might give it try. Thanks! No problem, glad you enjoyed the post. Thanks for stopping by. This looks really cool. I love that you are using your body weight with TRX. I also like that you can mount it on a door. Most people have doors in their home. I noticed on some of the videos that people even set it up outside on trees. Does it take a long time to set up TRX? Do you have TRX workout recommendations as well? Yes, I love the fact that TRX is really easy to set up and you can set it up in a lot of different places. It does not take long at all to set up. As for workouts, when you order the kit, it does come with a quick start guide and there are a ton of videos available online. TRX also has an app and you can sign up for personal training with a coach if like, for an additional cost. I hope this helps. Let me know if you have any more questions. Thank you for stopping by. I have developed back pain for quiet some time now. I know from experience that developing stronger core helps with back problems and overall fitness. Your article covers it all very well. I also like the fact that you gave few options to choose right TRX kit. This has motivated me to look into TRX training kits. Thanks for stopping by and leaving a comment. Glad to help. Let me know if you have any more questions. I love your awesome logo by the way, it connects well to the content. Thank you for stopping by, I appreciate it. I would recommend starting out with 3 days per week, if you are new to TRX, or working out in general. This will give your body time to recover in between each workout. There are a lot of videos available to walk you through using the TRX trainer. I am working on a post to share some of those videos. Thanks for your comment on the logo as well. Great article. The TRX is a super great tool. I do a mum’s and baby class once a week and we always get on the TRX…my baby wasn’t so keen when she was little probably the sensation of leaning back but she loves it now…tries to hold on to! Is the TRX quite gentle on the core? Thank you for your comment. I am glad you have some experience with TRX, that’s awesome. As far as being gentle on the core, you can make it easier or harder, depending on the angle you are using. I love the fact that you are able to do this with your baby. I appreciate you stopping by, have a great day! Great post and overall explanation of the TRX Training Suspension. Honestly this might be just the thing I need to expand my workouts. Like you I tend to get complacent. I do a fairly good job of mixing up the muscle groups I workout in one session every 3 months or so BUT I tend to do the same exercises. And it’s all about lifting weights. Thanks Mat A. I know what you mean about getting complacent. That’s one thing I love about TRX, it is just something different to mix it up. I appreciate you stopping by and leaving a comment. Have a great day!